Achill Head Hotel fully respects your rights to privacy and is committed to strict adherence to General Data Protection Regulations (GDPR) which become fully effective on 25 May 2018 as well as the provisions of the Data Protection Act 2018. Achill Head Hotel, Pollagh, Achill Island, Co. Mayo, Ireland. This Privacy Statement sets out how Achill Head Hotel uses and processes any information that you give to us. We respect your privacy and are committed to protecting your personal information. This Privacy Statement explains how we collect, transfer, process, use and disclose your data and sets out our security practices. Any personal data you volunteer will be used for the purpose for which you supply it and will be treated with the highest standards of security and confidentiality, strictly in accordance with General Data Protection Regulations. Achill Head Hotel collects and uses your personal information (PI) to provide the services and supports that we offer and that you have requested. if an employee as required by law for the periods specified. for legal, contractual and other lawful compliance services. to make you aware of special offers that we have or additional services that we may provide or add from time to time. Right to restriction of processing – where certain conditions apply to have a right to restrict the processing in accordance with Section 87 and Section 89 of the Data Protection Act 2018. Right to object – you have the right to object & opt-out of certain types of communication. Please note that we do not engage in direct marketing of any kind to those who have either not subscribed to our database or made a request for information/offers. We do not disclose or share your personal data with any third party. Any correspondence or literature that we send you will be requested directly by you. All of the above requests can be directed to Achill Head Hotel contact point listed in this Statement. They will be forwarded on should there be a third party involved in the processing of your personal data. Achill Head Hotel will take all appropriate legal, organisational, and technical measures to protect your personal information. 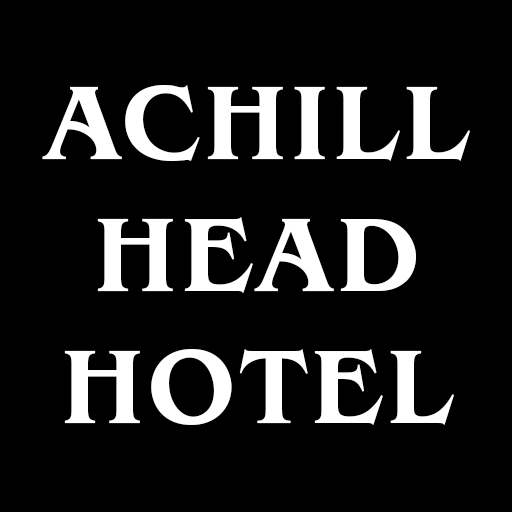 When Achill Head Hotel uses a third-party service provider, that provider will be carefully selected and will be contractually required to use appropriate measures to protect the confidentiality and security of personal information. Achill Head Hotel takes its obligations very seriously and adopts the strongest line in relation to the misuse of personal data or information by any of its staff or members. We only share information with third parties who help us in the delivery of our services you. These third parties may not use that information for any purpose other than assisting us in providing these services. Any contact information that you provide through our system will not be sold/rented/leased to any third party for selling or marketing to you. We will only provide third party companies with the personal information they need to deliver the appropriate service. Any contact information that you provide through our system will not be sold/rented/leased to any third party for selling or marketing to you. We may also collect legally obtained information from third parties to add to our existing user databases, for example, references. Such Information will only be collected and used by us to fulfill our services to our clients and candidates.